Originally designed by our in-house art worker Charles Feeney, this classic poster has been recreated for the modern home in the form of a practical tea towel. 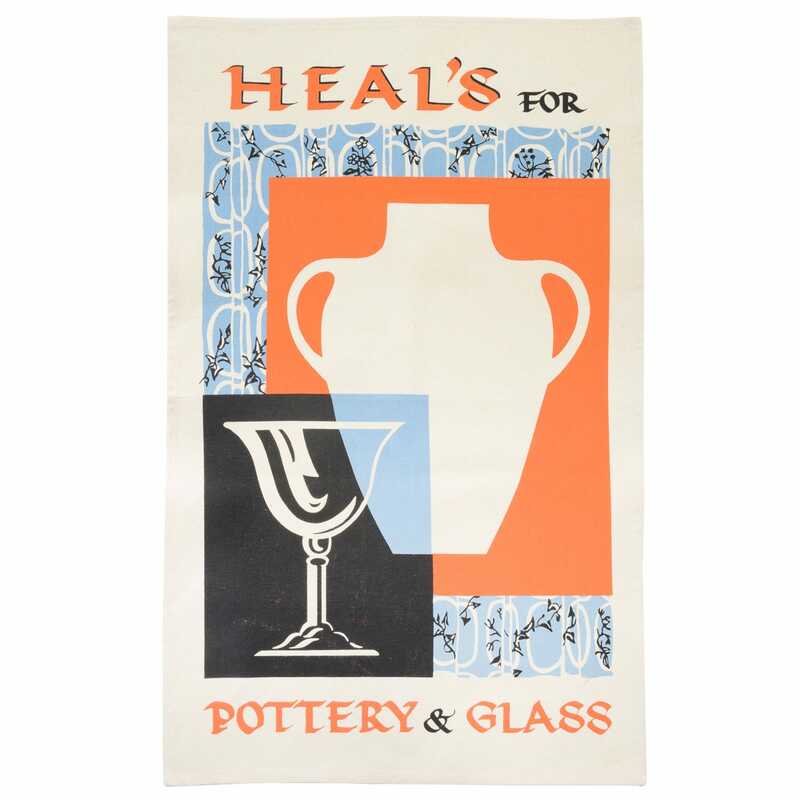 Showcasing Heal’s history for trail blazing approach to design, this vintage piece has screen printed onto 100% cotton adding mid-century style to your home. They are very beautiful, traditional thick tea towels and I’m very pleased I bought them. Bought two. Very fifties. Good design.